We fly a Robinson R44 Clipper I. 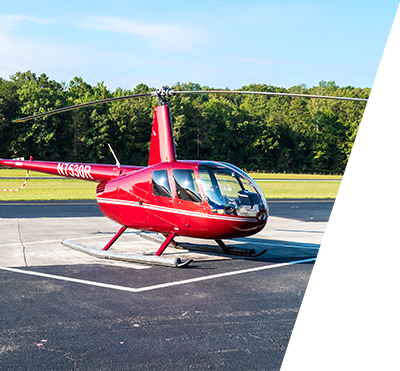 The Robinson R44 is an American-made four-seat helicopter with hydraulically assisted flight controls produced by the Robinson Helicopter Company in Torrance, CA. 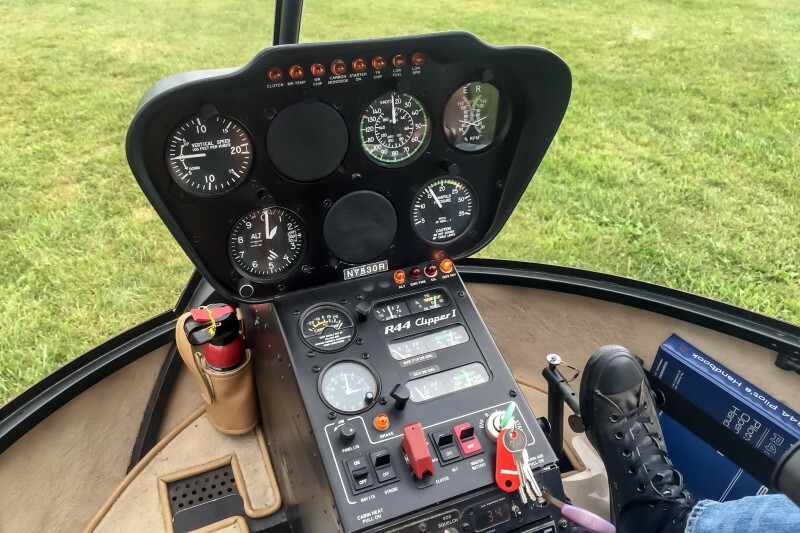 The Robinson R44 Clipper I is very similar to the more popular Robinson R44 Raven I, but is equipped with pop-out-floats. Pop-out-floats are designed for use in an emergency during over-water operations. The pilot can pull a lever to release pressurized helium from a tank under the helicopters front left seat. The six chambers of the pop-out-floats inflate within two to three seconds and the pilot can land the helicopter on water. Since some of our tours go over Lake Michigan, we appreciate the extra safety feature of the Clipper. 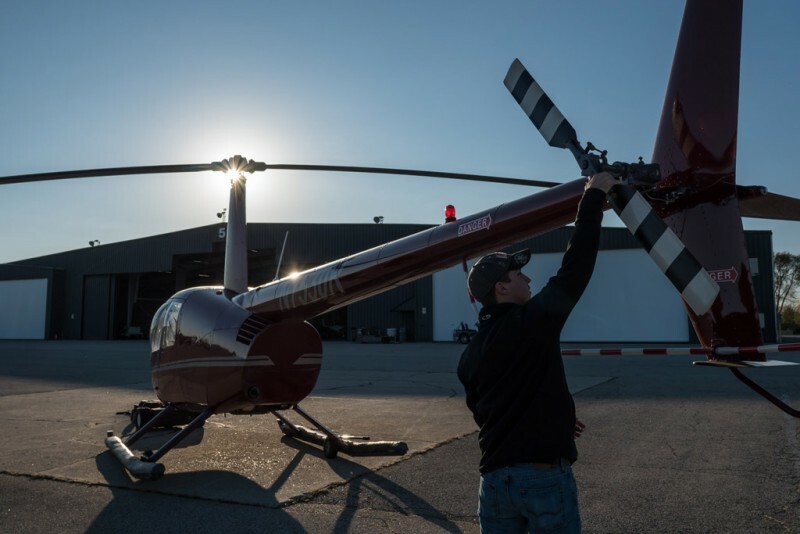 The helicopter has a carbureted, six-cylinder Lycoming O-540 engine. The engine is derated to 225 horsepower for takeoff and 205 horsepower continuous power for maximum reliability. The crew consist of one or two pilots. The controls at the front left seat are removable. Maximum capacity is four people including pilot(s). Most of the time we fly with one pilot and two or three passengers. If you are interested in aviation, ask the pilot about the helicopter. If time permits you may get the behind-the-scenes tour and can watch the pilot preflight the helicopter.